The flag of Sierra Leone is the third flag that has ever represented the nation. The first two flags were used during the colonial era, when Sierra Leone was part of the British Empire. 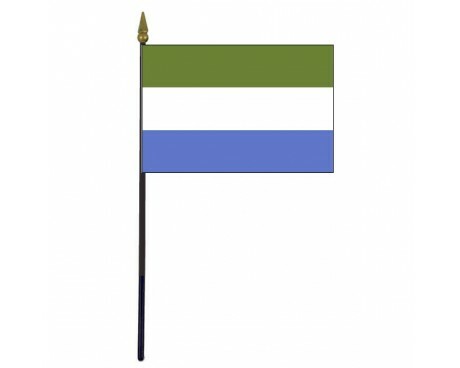 The modern Sierra Leone flag follows in the footsteps of those colonial flags, but it does not show any major influence from them. 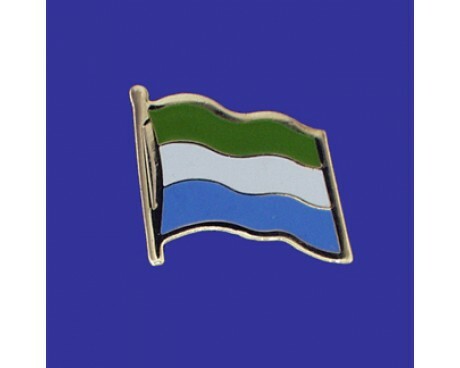 The flag of Sierra Leone has a simple design, but it still serves quite well as a simple of the nation's relatively recent independence from foreign rule. 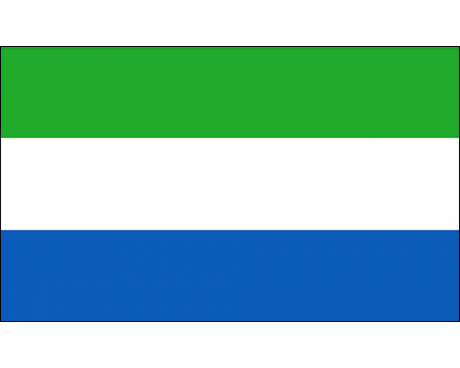 The Sierra Leone flag is made up of three horizontal stripes. 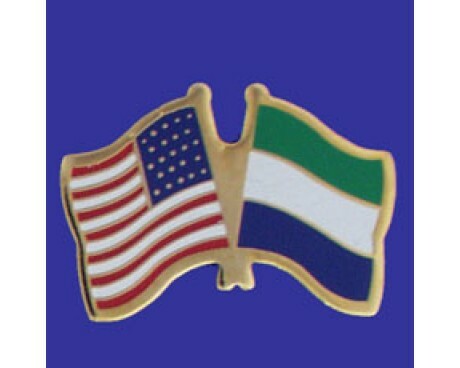 The upper stripe on the flag is green, and it represents the natural resources of Sierra Leone, especially its agricultural output and its high mountains. The middle stripe is white and represents justice and unity. The bottom stripe is blue, and it represents the nation's hope of contributing to world peace. The blue color was also chosen as a reference to the natural harbor of Freetown, which serves as the capital of Sierra Leone and a major economic hub for the nation. The lack of references to the nation's colonial flags indicates the country's separation from its colonial past and dedication to maintaining itself as a free and independent nation in the modern era. The first flag of Sierra Leone followed the same pattern as the majority of colonial flags within the British Empire. It was a British blue ensign defaced with the colonial seal, which featured an elephant in front of a tree with the colony's initials written along the bottom. It shared the design with several other British colonies, and their flags could only be distinguished by their initials. That flag came into use in 1889 and fell out of use in 1914, when the colony of Sierra Leone was granted its own coat of arms that featured an oil palm tree and a ship arriving in a harbor. The new coat of arms replaced the seal on the old flag's design.